How do you use Jedi mind control on a Cow? 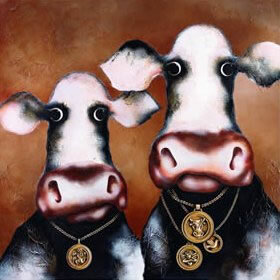 Cows seem to be a very popular theme in Art as of late but this leads to unanswered questions for an inquisitive mind like mine. 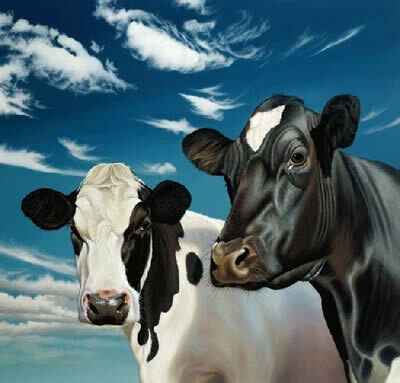 Some of these artists MUST actually go to the countryside to see Cows close up because lots of artists do not work from other peopleâ€™s pictures or random photos of Daisy form the internet! So Mr. or Mrs. Artist takes a day out to go to the countryside â€˜Honey ill be back home laterâ€™ packing their lunch, digital camera & sketch book. After arriving, they wait for the right moment so Daisy is in the right position and either start sketching Daisy or try to take photos. Sounds simple right? But how long do you wait? How do you make a cow stop what its doing and POSE for a photo? Jedi mind control perhaps? but Iâ€™m guessing a Jediâ€™s powers does not extend to bovines! so it must be some other way. 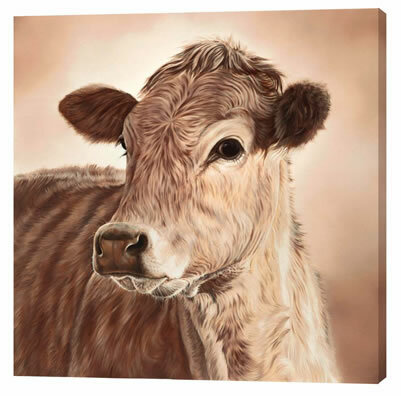 I mean its not often you hear a cow say ‘I’m ready for my close up Mr. DeMilleâ€™ so these artists must go to extraordinary lengths to get Daisy in the right pose for right photo. 1)	Hide in a bush for a few hours and wait till â€˜Daisyâ€™ strolls by â€“ donâ€™t shake the bush or you will scare Daisy! 2)	Get a friend to dress up in a cow suit and try to â€˜attractâ€™ Daisy to come over â€“ bit dangerous, maybe your friend doesnâ€™t want a new girlfriend?